A sports car is every man’s desire and every child’s dream. 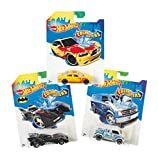 Surprise your child with the fantastic range of Hot Wheels cars. There is nothing better for a guy than to flaunt their cars. Gift your son the ultimate excitement with this cool range of racing vehicles. The models are inspired by original sport and luxury cars. They come in different colors and body designs. The wheels are made in a way that reduces friction and enhances the speed. There are tracks designed for Hot Wheels cars games as well. Mattel, Star Wars Collection, Marvel Collection, Color Shifters, Exotic Cars, Lancer Evolution, Formula Flashback, X- Racer Series are few of the best models. Every year they upgrade and introduce new Hot Wheels toy cars for increased racing experience. 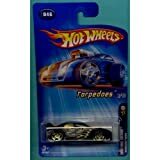 Hot Wheels is the leading company of toy racing vehicles. They have brought the real racing adventure for kids to experience. If you are confused what to gift your child as a token of appreciation or for his birthday, there is nothing better than this incredible range of racing cars.